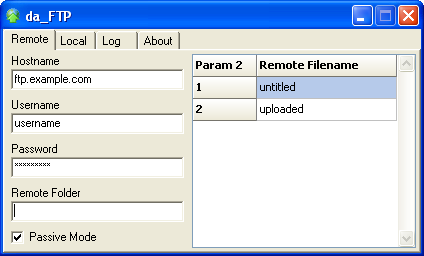 da_FTP is for uploading files to an ftp server using command line parameters. You could use it to upload web pages to a remote location for advertising, events info, etc. More details and a help file will be available in due course.